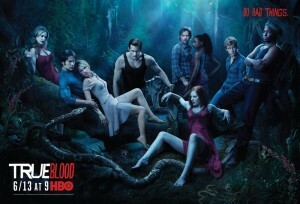 A Little Trivia For Ya What’s Next for TrueBlood? Can Sookie love Bill or Eric after everything or is Alcide the safer choice or should she just try being single for a while? Well I don’t know for sure, but I guess you know what I’m hoping to see. I mean, Sookie can’t stay with Bill forever, can she? Word on the street is that Russell Edginton will be back next season, although it won’t be until late in the season. Eric, Alcide and Jesus will return, as will Tommy and Holly. It seems the witches will hold sway in Bon Temps next season. And what will Sookie do now that every vampire she knows has betrayed her? Maybe she’ll try to find out more about what she is and those like her, fairy and telepath alike. So perhaps we’ll be seeing more fairies as well. And maybe Eric will have some stiff competition in Alcide, and I’ll have to wait another whole season before I get my Sookie and Eric love arc. Anyway, I’m getting way ahead of myself. Season four is a long time away and next week seems like it will take forever to get here. So, for those of you just dying for a glimpse of what is to come here’s a few tidbits. Sookie is sick of being on the vampire menu like she’s some sort of delicacy. She’s also sick of vampires. Eric feels pangs of conscience about his revenge plot. Tara goes deeper into Sam, and Sam (predictably) loses it after finding out about Tommy’s retaliation. Jason helps Crystal with the raid on her family. Lafayette seeks out Jesus’ help and discovers he just may need him more than he thought. 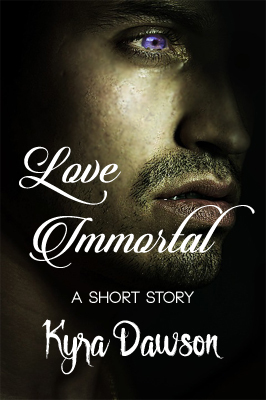 Hoyt refuses to marry Summer despite the pleas of his interfering mother; and why wouldn’t he refuse when he’s madly inlove with Jessica and they want to be together? Wouldn’t you rather be with a vampire? ~P.S.~ Is that Godric I see? #waitingsucks!, awesome, Bill, entertainment, Eric, Favorite Things, HBO, mindbending, Paranormal, Sookie, True Blood, TV, Vampires!, werewolves. Bookmark. Instead of Angelina Jolie, Which of These Actresses Would You Choose To Be Cleopatra?